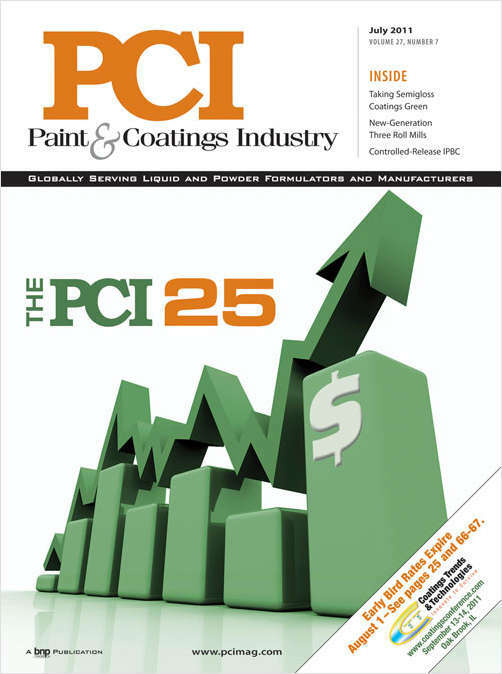 Free Magazine Subscription: "Paint & Coatings Industry"
Is a monthly publication serving manufacturers of paints, coating, adhesives, sealants and printing inks. Do you wish to receive a FREE subscription to Paint & Coatings Industry? Do you influence the purchase or specification of materials or equipment used in the manufacture of paints/coatings, adhesives/sealants, or printing inks? Complete and verifiable information is required in order to receive this subscription. • Geographic Eligibility: USA (Print or Digital editions), Mexico, International (Digital edition only). • The publisher determines qualification and reserves the right to limit the number of free subscriptions.